The Keepers of the Light are a powerful congregation of ascended and enlightened beings who are dedicated to the nurturing of the world. Their spiritual intelligence and support are available to all those who call on them. Just like angels, these lightkeepers are multi-dimensional and can bring their love and guidance to several places at once. Many of them once walked the Earth like you and me. They went through deep spiritual transformations that helped many people, and at the time of their Earthly death, or passing, they were given the oppurtunity to continue offering their spiritual teachings and experience to the world through their emotional intelligence, which now resides in heaven. Others are angels, archangels, gods and goddesses from the myths, legends, spiritual texts and religions of the world, all with special gifts and qualities to offer. I wanted to share with you some of my favourite masters that you can welcome into your spiritual practice and life. My prayer is that their gifts will help enrich your energy with a sense of support and abundance. El Morya is a spiritual name that was given to protect the identity of Ranbir Singh, a spiritually aware man born into a powerful family that ruled Kashmir (a region of the Indian subcontinent) in the 19th Century. It is said that El Morya interceded both spiritually and physically to stop the British invasion of the region in 1845. This higher being is now available from the spiritual realms to help us stop anything entering our energy or world that will stand in the way of our growth. 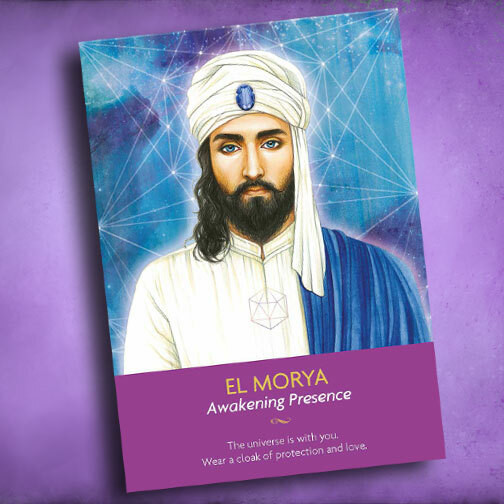 El Morya is known for his connection to the ‘I AM’ presence – this is our truest connection to our soul and the universe itself. He helps us create a powerful cloak of protection that we can place over our energy fields so that we do not take on dramas, energies or situations that will impact our development and purpose. To invoke the help of El Morya, visualize yourself surrounded in a sapphire blue cloak and you will be held in a light of safety. Mahavatar means ‘great incarnation or great avatar’ and Babaji means ‘sacred father’. Mahavatar Babaji is a deeply respected master who was introduced to the world through the teachings of the Indian Yoga master Paramahansa Yogananda. Babaji, as he’s called for short, is said to be over 2,000 years old and able to travel between Earth and other worlds. Many believe that Babaji ascended death and is able to materialize in the physical world at will. He is somewhat like Christ, bringning deep love, acceptance and forgiveness anywhere he is invoked. 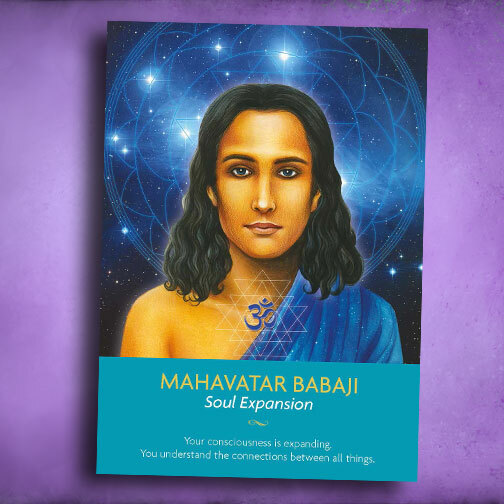 Mahavatar Babaji is a master dedicated to the expansion of the soul. You can invite this powerful master into your meditations to help you unlock the wisdom that resides deeply within. As this teacher is known for appearing in the sacred caves of the Himalayas – you can imagine yourself within the cave of your heart and invite him to reveal insights that will support your growth. Those who practice both physical and meditative forms of yoga will feel a natural connection to this master as he, too, knows what it’s like to be a seeker of the true self. Lady Nada is said to be another incarnation of Mary Magdalene but, even if she is, the energies are slightly different. Lady Nada is a mighty spiritual priestess of love who once existed in the land of Atlantis. She is the light force that helps us awaken our hearts to the divine love we deserve; the lightkeeper whose essence allows the light in our heart to expand, revealing a true, real, naked and vulnerable aspect of our soul. 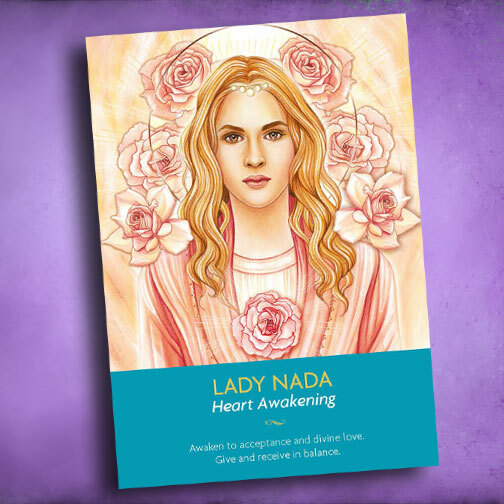 Lady Nada’s sacred teachings help awaken our heart energy. Her presence comes close to us to remind us – even though it may feel like it at times – the heart can never be broken. We may feel stuck, lost, upset or broken but the heart moves beyond all of these illusions as it’s the energy that represents our whole and holiest self. To feel the presence of Lady Nada, you can imagine a pink rose opening in the center of your chest and imagine her sacred love is guiding you – it will! The Shekinah is the twin flame of the Holy Spirit. She is the female aspect of the God-particle or creation energy. ‘She’ is more of an essence than a being, but has the ability to show ‘herself’ in ways that we will understand. She is acknowledged in the sacred teachings of Judaism and also called ‘the Sophia of Jesus Christ’ in the Gnostic Gospels. She is a powerful female voice of spirit who is here to bring about equality and to help the world move on from the ‘male-only’ image of God. 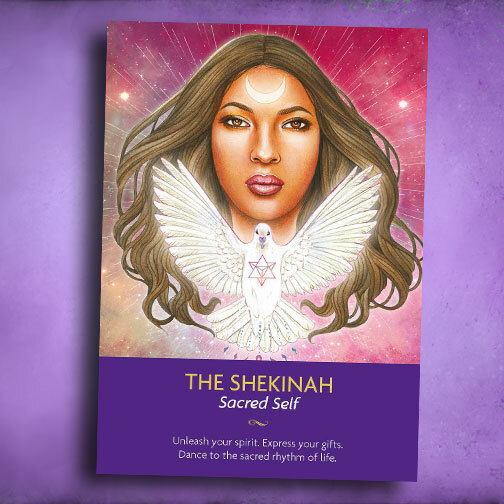 The Shekinah’s sacred presence reminds us that God is an all-loving and all-accepting energy and presence. Whenever she appears to someone or her presence is felt – she is pointing out someone who has a sacred mission and indicating that they are a change maker, love creator and gift sharer of the world. You can invoke the Shekinah by imagining a pair of pure white dove wings cocooning you in a bright light. She loves to send pure white doves, whether in physical form or an image, as a symbol of her presence. Holy Amethyst is the twin flame of Archangel Zadkiel, the angel who helps us transmute negative experiences into love and learning. Together with her twin flame, Holy Amethyst works directly with an energy known as ‘The Violet Flame’, which is an ethereal retreat where we can go to release anything that is no longer serving us. With her support, Holy Amethyst can help us look over our past fears and challenges so that we can draw wisdom and learning from them. 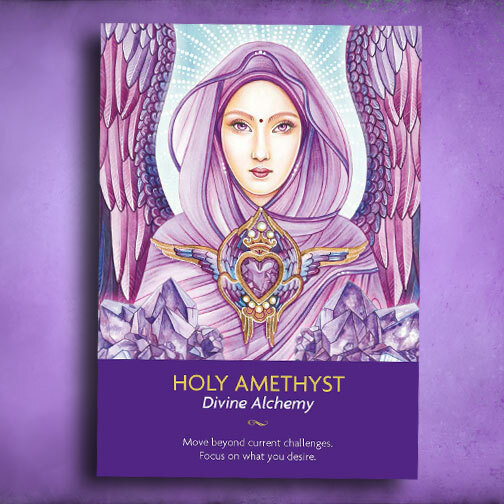 Holy Amethyst works with an incredible amethyst-coloured aura – but when she works with us she can help us perform ‘Divine Alchemy’, which means she turns all of the lead in our lives into gold. She helps take all that was once heavy and transforms it into lightness. You can call upon Holy Amethyst and ask her to place an etheric amethyst crystal in your heart so that you can carry the sacred violet flame energy with you everywhere you go. Working with this mystical angel helps us recognize that within all of us is this capacity to be an alchemist – with the ability to transform and move on from our past. Download the audio lecture Change And Transition by Louise Hay FREE when you sign up for the Heal Your Life Newsletter. Don’t Hide It, Write It! Is Stress Damaging Your Health?